Details are still forming but so far it's shaping up to be a bloody good time. 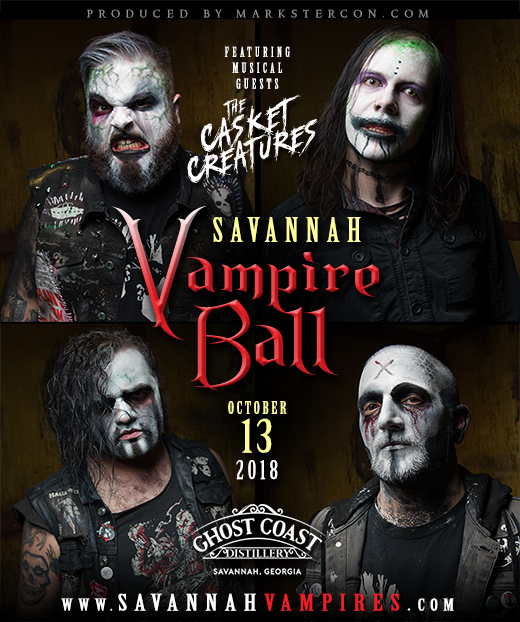 Horror band The Casket Creatures have already confirmed to help kick off the event. 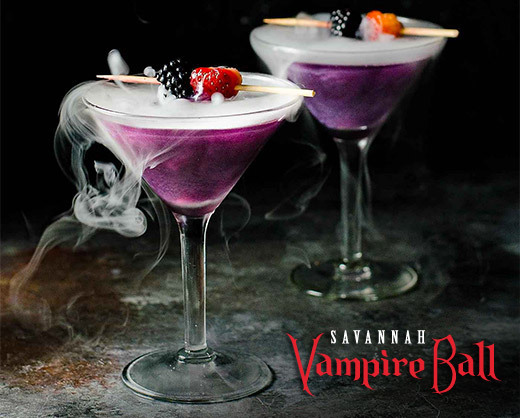 Special vampire-themed drink specials, photo ops, crowning of a Vampire King & Queen, late-night DJ/dancing with DJ Shrapnel and much more will help round out the night. For now go ahead and get the Oct. 13th date on your creepy calendars and don't delay in securing an Adv. 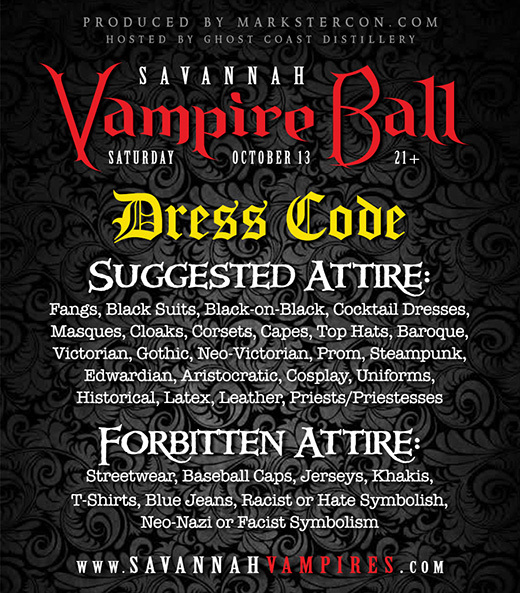 Ticket to the VAMPIRE BALL as we can't guarantee any will be left night of the event. 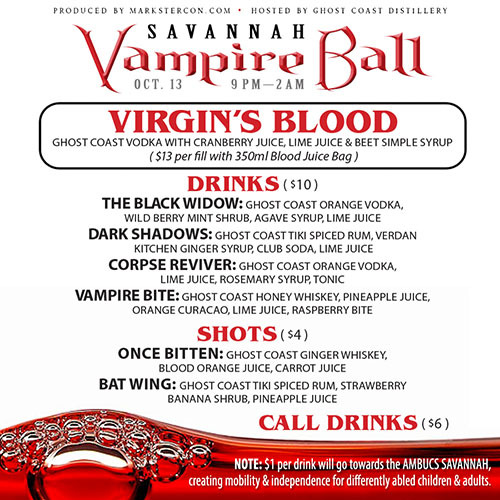 NOTE: The VAMPIRE BALL is 21+ and requires a ticket. • $25 - Gen. Admission Online (Available Oct. 5th, 7pm) – still available! 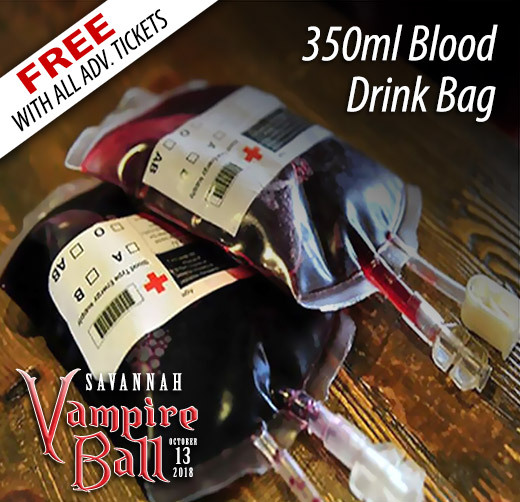 The ticket purchaser is aware that bot the Savannah VAMPIRE BALL and Savannah BITTEN BAR CRAWL are 21+ and entry requires a valid I.D. 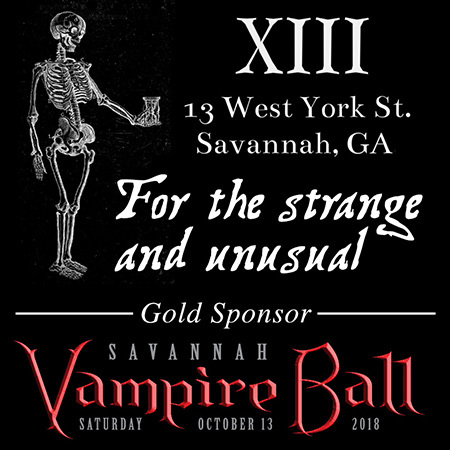 The ticket holder also acknowledges that by appearing at the Savannah VAMPIRE BALL (and/or BITTEN BAR CRAWL) he or she (or their likeness) may be recorded (by video, sound or otherwise) and consents to such recordings and its publishing, editing and re-broadcasting. 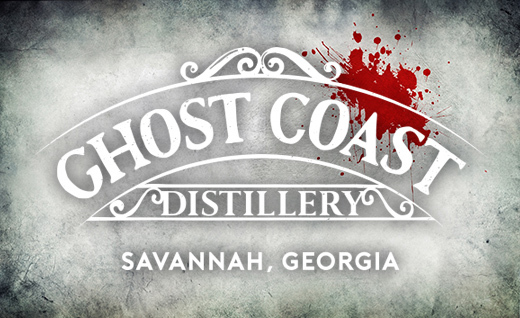 In exchange solely for this license, the ticket holder, in purchasing a ticket: (i) releases the event producer (Markster Con Productions LLC) and host venue (Ghost Coast Distillery) and their associates from any liability for loss, death or damage to persons or property, infringement of any right, or any other claim or cause of action of any kind; (ii) authorizes and permits the event producers and its designees to use for any and all purposes his or her name, voice, and likeness and all reproduction thereof in any and all forms and in all media now or hereafter known in perpetuity. This ticket is non-refundable and will not be replaced.